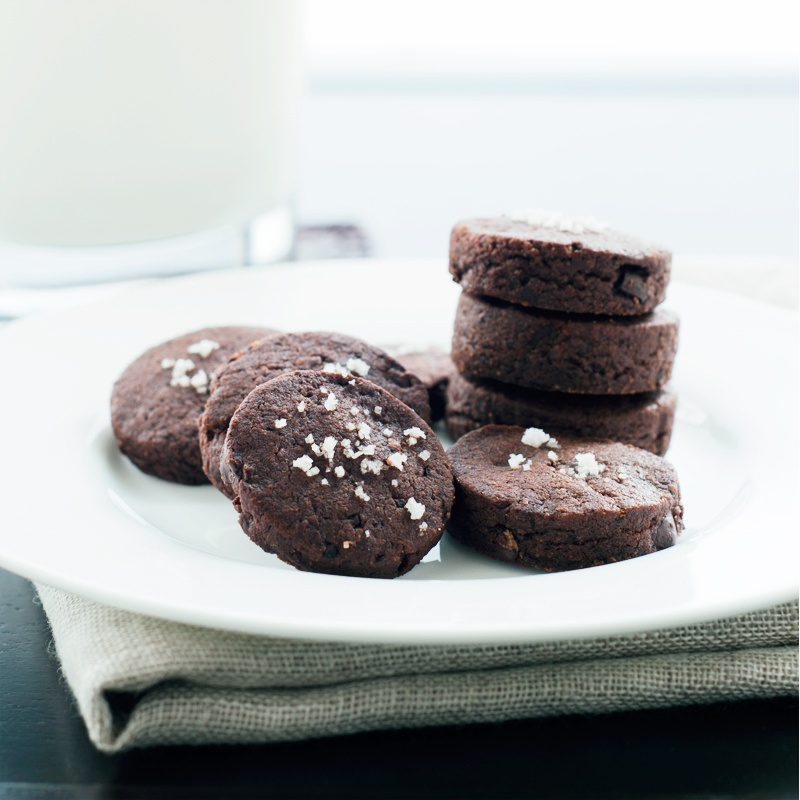 This is the type of recipe you know you will like just by reading the ingredients. Mango. Eggplant. Hot pepper. Cilantro. 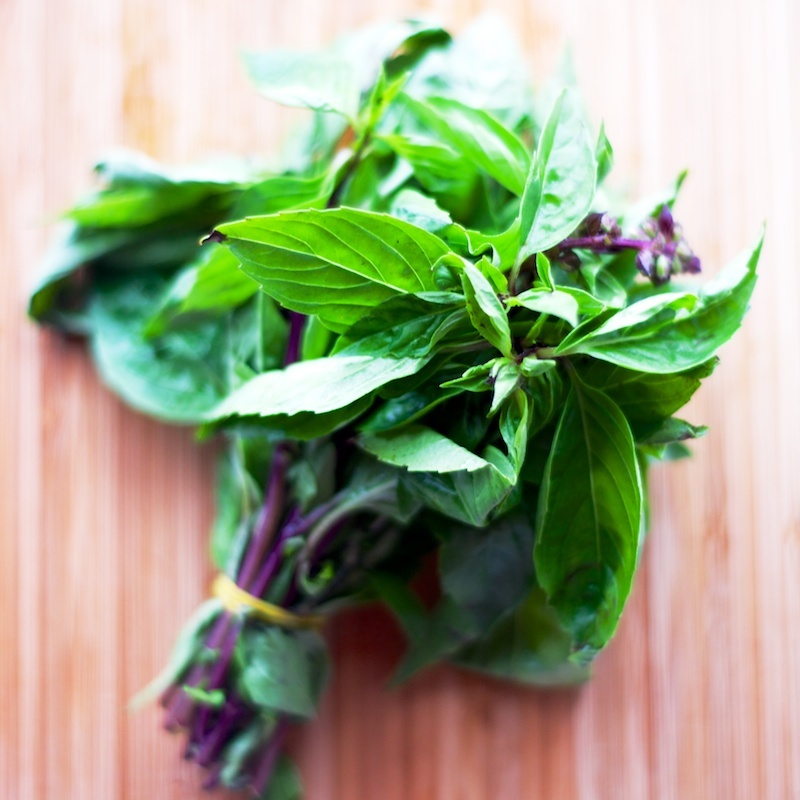 Thai basil. I’m sold, and still working my way through Ottolenghi’s Plenty cookbook, this recipe for Soba Noodles with Eggplant + Mango caught my eye. It’s so delicious and very satisfying, it makes for a great vegetarian meal or just as a side. I don’t think there’s one recipe in this book that I wouldn’t want to make, there are quite a few recipes for eggplant which I’m excited about, I generally don’t buy eggplant very much because I’m never quite sure what to make with it. But now this book has opened up so many possibilities and much inspiration! The only thing I might recommend here is using more of the red chili pepper if you like more heat, the recipe calls for 1/2 pepper but next time I would use the whole thing. But other than that all the flavors work perfectly together. In a small saucepan warm the vinegar, sugar and salt for up to a minute until the sugar dissolves. Remove from heat and add the garlic, chile and sesame oil. Allow to cool then add the lime zest and juice. Heat the sunflower oil in a large skillet and shallow-fry the eggplant in 3 or 4 batches. Once golden brown remove to a colander, sprinkle generously with salt and allow to drain. Cook the noodles in a large pot of boiling salted water for 5-8 minutes until tender but still al dente, stirring occasionally. Drain and rinse under cold water, shake off excess water and leave to dry on a dish towel. 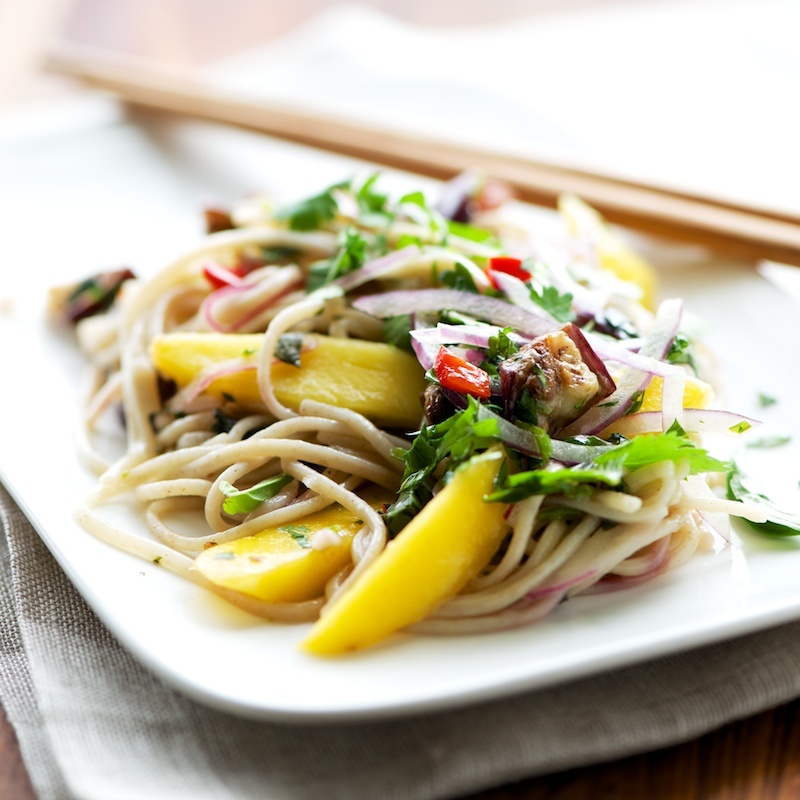 In a mixing bowl toss the noodles with the dressing, mango, eggplant, half of the herbs and the onion. You can leave this aside for 1-2 hours. When ready to serve add the rest of the herbs and mix well.